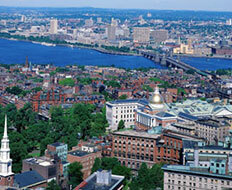 Gorgeous sights await vacationers who are looking for a one-of-a-kind camping trip in Massachusetts. 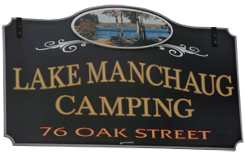 At Lake Manchaug Camping, we offer a number of ways to enjoy the woods, water, and natural beauty of our peaceful part of the world. Whether you are looking for a space to pitch your tent, rv campgrounds, or if you’re more interested in a private cabins with full amenities, our campgrounds have something for you. Ask us about our boat and jet ski rentals for a fun afternoon on the lake. As our guests, you and your family are welcome to experience the best that nature has to offer. 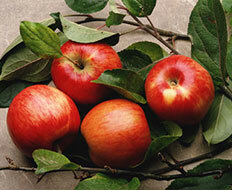 We are located in the heart of the scenic Blackstone River Valley in Massachusetts. Our spacious campground offers fun outdoor activities and campsite options that range from lakeside and lake view tent camping with 20, 30, or 50-amp electrical outlets to homey vacation rentals. 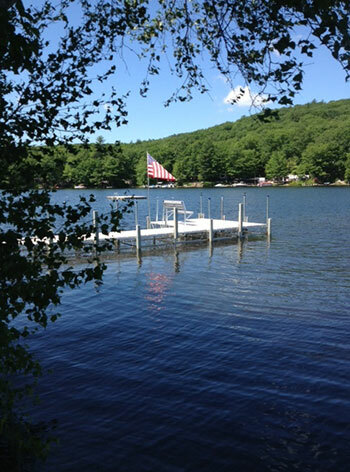 With owners and managers always onsite, our campground features 75 acres of woodlands surrounding a beautiful, crystal-clear body of water, Lake Manchaug. Make your next family camping experience memorable with our breathtaking views, boating, fishing, and serene kayaking. The memories are in the making while you are relaxing at our tranquil getaway. Outdoor enthusiasts are in for a treat when they stay at our camping community. We offer a number of activities for those who just want to relax and unwind as well as for those who need something a little more vigorous. While camping with us, you and your family can experience fishing, boating, waterskiing, biking, hiking the trails of Douglas State Forest, or simply lounging by the campfire and watching the sun set. Our grounds and lake offer plenty of opportunities to enjoy nature. From rustic tent camping to comfortable private cabins, you can have the camping trip that’s right for you. We are more than happy to provide you with additional information about our campground. Feel free to reach out to us with any questions regarding the site, services, and local attractions. The area around our campsite is complete with hiking trails, watersport opportunities, golf courses, and more. Take a break from the everyday and discover the beauty of Lake Manchaug and the surrounding areas. Our campgrounds are an ideal spot for getting away from stress, bonding with the family, or treating yourself to some much-needed alone time. 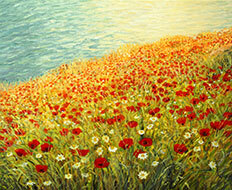 For pricing details, reservation information, or any other questions, contact us at (508) 476-2471 or email us.